Episodes built around special observances like Christmas and Halloween are irritatingly common in the sitcom world. 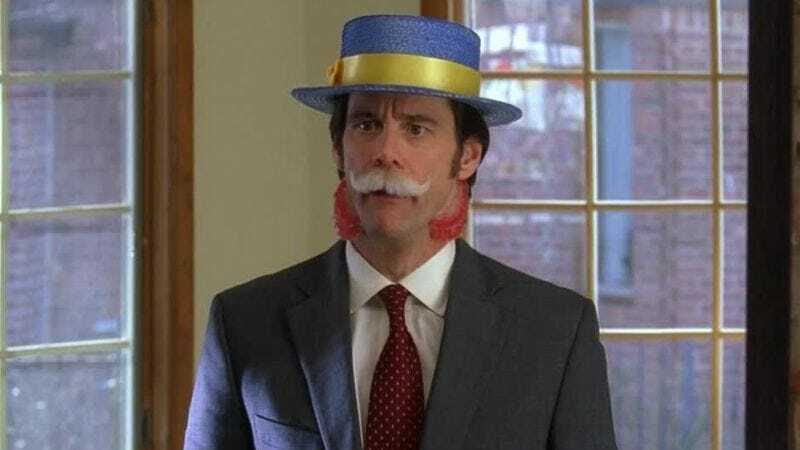 But NBC’s late, lamented 30 Rock found some virgin holiday territory with an episode called “Leap Day” back in 2012. Directed by Steve Buscemi, this installment of the sitcom’s penultimate sixth season centers entirely around February 29, that magical extra day added to the calendar as a corrective measure every four years. In 30 Rock’s surreal alternate reality, Leap Day is a beloved, widely celebrated holiday with its own color scheme, rituals, and mythology. Instead of Santa Claus or the Easter Bunny, the spirit of February 29 is embodied by the jolly, mustachioed Leap Day William, who emerges quadrennially from the Mariana Trench to trade children’s tears for candy. Having grown up in an Amish community, befuddled protagonist Liz Lemon (Tina Fey) is alone in her ignorance of Leap Day, but she receives a crash course about the odd holiday as the episode progresses. The inspirational take-away lesson is that nothing that happens on Leap Day matters. When the world changed, some of the old gods, the Vikings and the Romans and the Assyrians, some of them hid, a bubbly god of chaos has taken on the form of Leap Day William. I don’t know if he had gills before he hid from the new order, or if he’s real.